It’s the beginning(ish) of April, so it’s time to set my goals for Quarter 2 of 2016. I made a little progress in Quarter One – not as much as I wanted, but I also did not motivate myself nearly as much as I should have. Forever Fairy Tales – This quilt top was completed Q1. I would like to have it become a complete quilt during Q2. That means figuring out a backing, and then quilting and binding this lovely beast. I do have fabric for the binding, but would like to pull from stash for the backing. We’ll see if I can do that. Swirling Sea of Stars – I just completed putting the backing together for this particular quilt top. I also just purchased batting for it, and am relatively sure that I have fabric in stash for the binding. 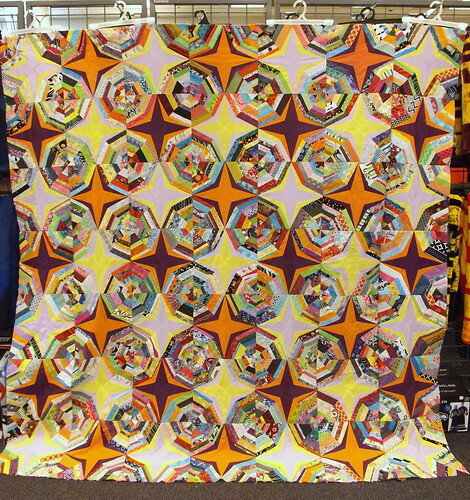 I’m ready to quilt this up – I even have a good idea of just what I’d like to do with the quilting. 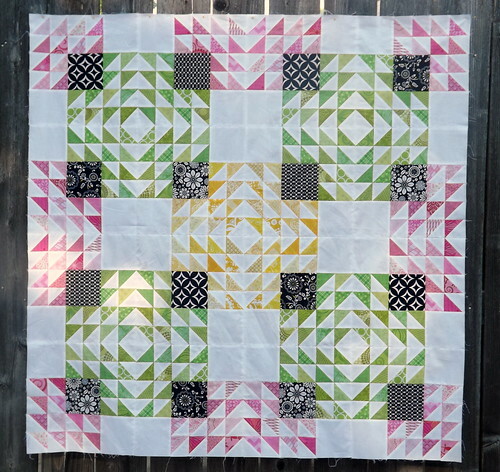 Granny Block Swap – I started putting my blocks together, into a top. It’s time, I think, to get this project from a WIP to a finished object. 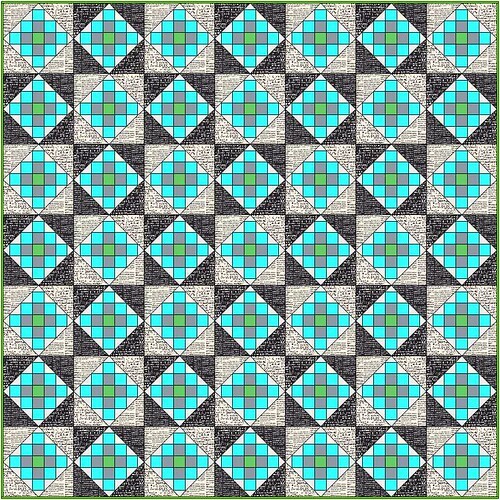 Winged Square – This is the most ambitious of the projects on my list for Q2… I don’t have all the blocks done. I have baggies full of HSTs. Still, I would love ot get this to a completed quilt. Lots of work ahead of me – I’m excited for Q2! 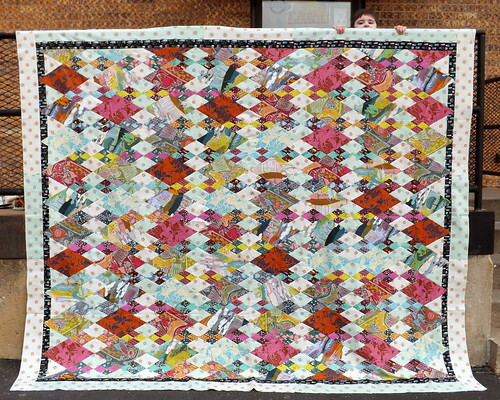 Your winged square quilt is just amazing! All three tops you’ve shared are beautiful, though! Good luck this quarter. What a host of beautiful projects. The ‘Forever Fairytales’ in AMH fabrics is my particular favorite. Good luck making progress.